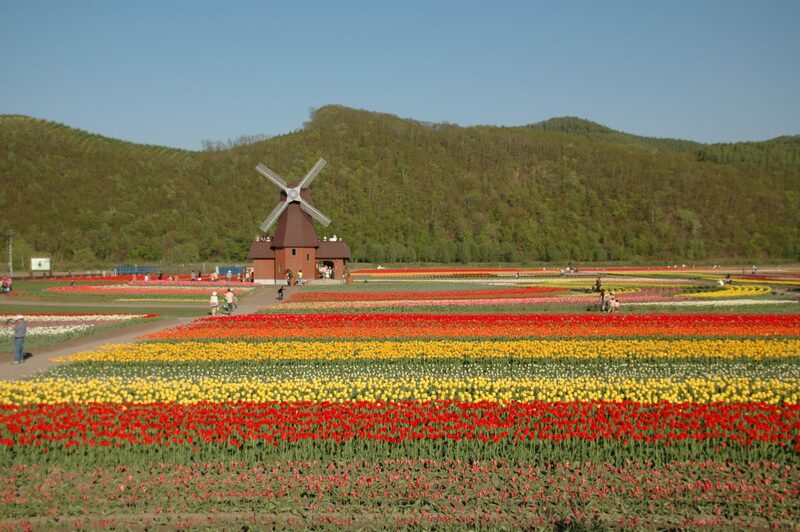 Hokkaido is Japan’s second largest island, situated in the country’s northernmost prefecture. The island is home to the famous city of Sapporo, where the huge Snow Festival is held annually, as well as Niseko (the country’s most popular ski resort), the famous Noboribetsu hot springs, and rolling fields of lavender and beautiful summer flowers. It’s a stunning island that everyone should visit if given the chance, and there’s plenty to be enjoyed for those interested in whisky and spirit production too. In fact, Hokkaido is now home to three different distilleries, making the island something of a hub for Japanese spirit production. The oldest of the three has been in operation since the early 20th century, but the other two are recent additions. Why are new distilleries choosing Hokkaido as their home base? The climate there is similar to that of Scotland’s west coast, with average daily highs of around 11 celsius and lots of rainfall. This, combined with the high sea winds on the shore fronts, allows whisky producers to create expressions with maritime influences, slightly similar to those created on Scotland’s Islay. The island’s most renowned distillery is Nikka’s Yoichi, famous for producing top quality Japanese single malt whisky. Opened in 1934, it is the oldest Nikka owned single malt distillery, built around 35 years before its sister distillery, Miyagikyo. Yoichi was founded by the legendary Masataka Taketsuru, “The Father of Japanese Whisky”, and he chose Hokkaido due to the aforementioned climate. He had learned his trade in Scotland and working under similar conditions was the logical step. Taketsuru is credited with bringing a lot of unique processes and techniques to Japanese shores, setting the ball rolling for the quality craftsmanship that we see in Japanese single malt whisky today. One of his biggest introductions was that of a coal-fired pot still at Yoichi. He had seen and learned about these at the Longmorn distillery when he was first starting his whisky journey in Scotland and, despite the inherent difficulties with regulating the temperature of such a piece of equipment, he felt the positives well outweighed the negatives, and so installed one at Yoichi. The continued use of this still plays a big part in the toasted, bold and slightly burnt characteristics found in Yoichi single malts today. On top of some of the best whisky in Japan, the distillery, situated not far from Sapporo, also offers incredible scenic views and a truly interesting visitor’s tour that explains many of the traditional processes used in the whisky production there. Akkeshi is Hokkaido’s newest whisky distillery, founded in 2016 by grocery company Kenten’s Ltd, and it is already making a name for itself with some truly exciting single malt whisky releases. Located in a rural town from which it takes its name, Akkeshi is far less accessible than Yoichi for passing visitors, but if you do decide to make the journey out to the distillery, you won’t be disappointed. The town of Akkeshi was chosen as a location for the distillery due to its similarities to the coasts of Islay and the results are a smoky, peaty whisky with subtle maritime influences from the sea air that sweeps across the cask warehouses on a daily basis. Given that the distillery was only founded in 2016, the expressions released thus far have all been relatively young, but the quality of the whisky is what you would expect from older liquid. The Akkeshi New Born Peated is a particularly accomplished whisky and the newest release, matured in Mizunara oak, is outstanding in terms of complexity and the range of flavours on offer. Akkeshi is only young, but given what they’ve achieved already, it looks as though a promising future lies ahead for Japan’s ‘Islay distillery’. The Benizakura distillery is also relatively new, having first opened its doors in April 2018. Unlike Yoichi and Akkeshi, this distillery produces artisanal gin and is the first of its kind on Hokkaido. Owned by Hokkaido Liberty Whisky, it takes its name from Benizakura Park, one of the most beautiful traditional gardens in Sapporo. Dedicated to sourcing their ingredients locally, the distillery’s gin is truly original, with a range of distinct umami flavours. Their first release, the 9148 gin, was a resounding success and has people waiting with excitement to see what they have in store for us next. At present, Benizakura gin is only available from the distillery shop itself, but with any luck these will be rolling out across the country and beyond in the near future. Whether it’s whisky, gin, skiing, beautiful scenery or all of the above that you’re looking for, Hokkaido has it all. From Sapporo to Akkeshi to the mountain ranges and beaches, this is an island with plenty to do and plenty to drink. The island may be colder than most places in Japan, but the weather conditions, lush vegetation and blossoming greenery present the perfect opportunity for distillers to create fantastic expressions of whisky and gin. Whether more distilleries pop up on the Hokkaido in years to come, turning it into Japan’s Islay, remains to be seen.